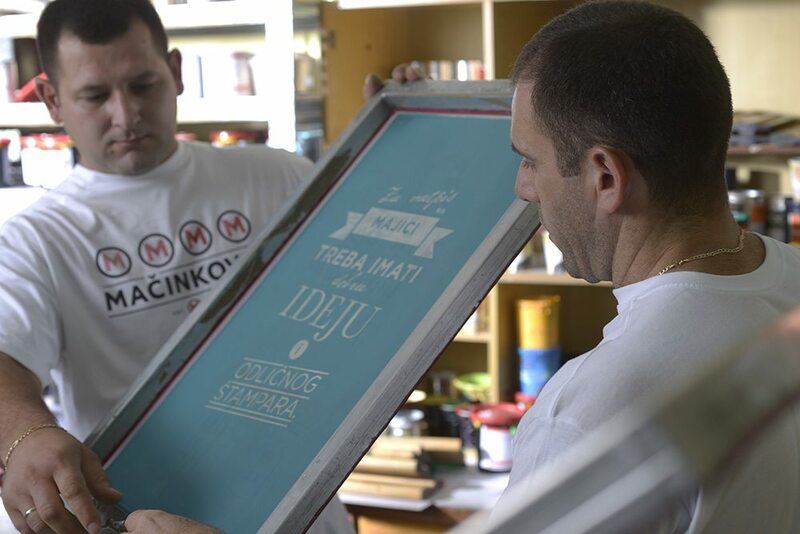 One of the advantages of silkscreen printing is high quality of print and its durability. And that is that. You already have a promotional campaign? You need umbrellas for autumn? T-Shirt for the summer season? Workwear and equipment all year round? Let your brand be seen and let it last long! We can help you with that! Our print is long lasting and remains of quality over time. Sometimes even longer then the brand itself! 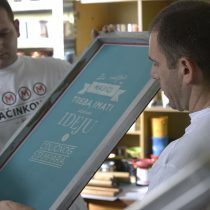 Silkscreen printing is a technique that allows printing on almost all objects with plain surface. It can be used on plastic, wood, ceramics and similar materials of various shapes. It especially qualifies for textile industry. This printing technique is very popular for bigger number of copies. Even though the initial price is higher in relation to other techniques, the price of a single copy in big bulks is incomparably lower. 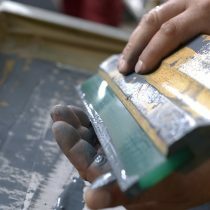 One of the advantages of this technique is its high quality as well as durability of its prints. For this reason it is used in finest reproductions of famous paintings. 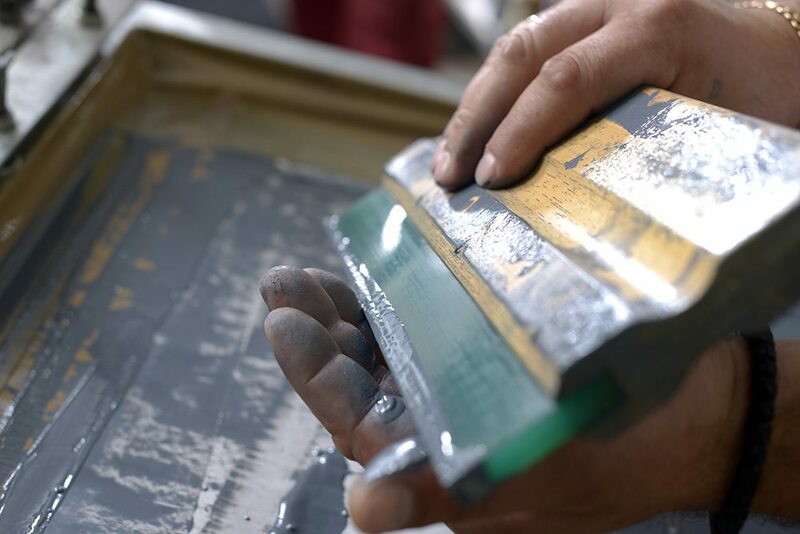 We work on Maquina impresion manual modelo 6C/3BG, a machine that supports 6-color silkscreen printing in full color. Our educated and experienced staff is able to reach 6000 1-color prints a day, while it takes respectively more time for multicolor prints.